If the lack of space in your TW5 home brings on an overwhelming feeling, it might be time to consider a big clear-out. If you find the task at hand to be too much to tackle on your own, or you can’t find enough time in the week to get it done though, come to us. We offer top quality house clearance Cranford TW5 that will leave you astonished! We can deal with any house clearance you throw our way and our highly experienced team are guaranteed to give you the best results. We have the solution to all of your clearance problems so leave the task to the professionals and call us today on 020 8610 9182! Are you looking for cheap Cranford house clearance TW5 without limiting the quality of the service? If so, look no further! 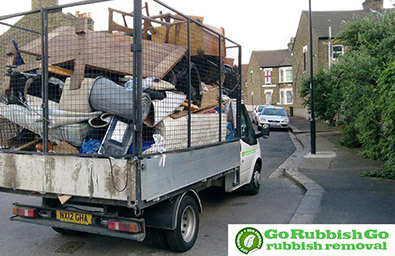 Go Rubbish Go have great prices across the board, with options available to suit any and every budget with no hidden costs so you won’t get any nasty surprises. We provide top quality service that will leave you thinking it’s too good to be true. Cranford, TW5 house clearance couldn’t be an easier decision to make when we have everything covered from start to finish at such affordable prices! Don’t miss out on our great deals, enquire and get your free quote today! 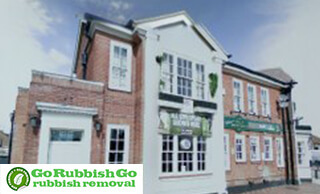 Choose Cranford’s Most Environmentally Friendly House Clearance Team! 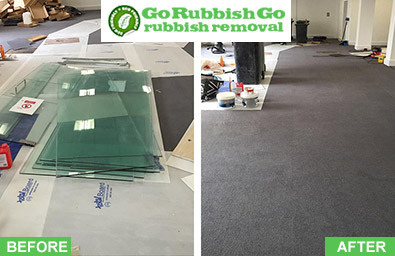 If the environment is something that concerns you and you are looking for an eco-friendly way of disposing of your junk, you can count on Go Rubbish Go to come and deal with your Cranford house clearance. We operate a service to TW5 homes and we ensure that our house clearance process TW5 is as green as possible from start to finish! From the vehicles we use, to the proper disposal and recycling of your waste products, you can be sure that your belongings will be disposed of in an appropriate manner, leaving you with a clear conscience and minimal hassle! Make sure you book your appointment with an environmentally friendly company today! We are fully equipped to handle any house clearance TW5 that you need! No matter how much junk you may have, whether you need one room cleared or you need a whole top to bottom house clearance Cranford, we can handle any job! We have a range of van sizes to appropriately dispose of any belongings that you no longer want or need and all of our team are well trained to know exactly how to deal with any sort of clearance! Irrespective of how big the job is we will get your TW5 home cleared in no time at all so you have your home looking sharp almost immediately! Call 020 8610 9182 now to get a free quote! TW5 have been getting our high quality services for years and our superior house clearance team are always doing everything they can to ensure the best work is carried out throughout. We have a great range of equipment suited for different situations so we are always ready for anything you may need help with. All of our services are both environmentally friendly and have your budget in mind so you don’t have to worry about your carbon footprint, nor burning a hole in your pocket. All of our TW5 house clearance Cranford team are well trained and are eager to help you so call 020 8610 9182 today and find out more! We are always readily available to help with your house clearance if you live in Cranford! If waiting around for companies to have availability is a problem you’ve faced before, worry not! Our house clearance team in Cranford guarantee a speedy turn-around time to ensure you aren’t kept waiting. With our healthily staffed company, you will have your TW5 house clearance booked at a time convenient for you so you can get your home looking sharp when you need opposed to when we can get around to it. Your convenience and customer satisfaction are of great importance to us so not only will you get an early appointment, you will also have your TW5 home cleared out in no time at all! Cranford is situated in West London in the London Borough of Hounslow. It is in close proximity to Heathrow airport and has a number of nearby stations. There are many churches in Cranford, with the most notable being St Dunstan’s church which holds a bell which has supposedly been cast at every important national occasion since 1338. There is also a white monument tomb of Elizabeth, Lady Berkeley can be found in this church. There were a number of people of importance that have grown up in Cranford such as Ian Gillan from Deep Purple. As well as a number of people who have been buried or scatter in the area. Nearby stations are Hounslow West tube station and Hatton Cross tube station.